Government amended rules to exclude protocol services and guest house facilities from being applicable to the retired judges and their spouses and children. The matter was taken up by the high court on its own and further the high court had set aside the amendment. The Shillong Times has published an article titled “When judges judge for themselves” in pursuant to above order. 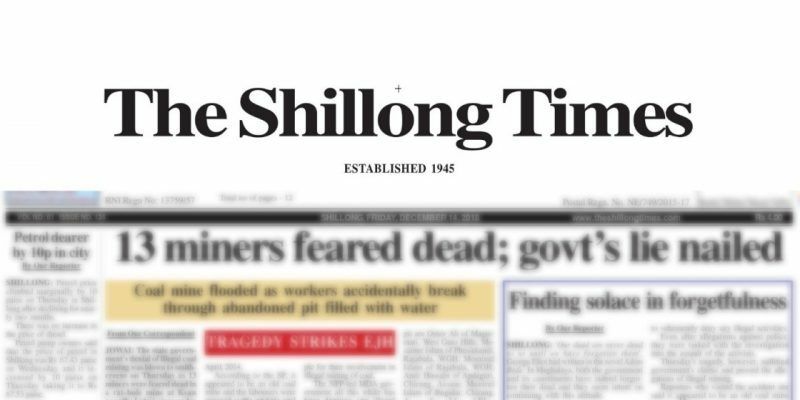 Meghalaya High Court’s held The Shillong Times editor Patricia Mukhim and publisher Shobha Chaudhuri guilty of contempt and fined them Rs 2 lakh each. The Supreme Court has put on hold the Meghalaya High Court’s order. The Union Cabinet has approved the constitutional amendment which seeks to increase the powers of the autonomous councils in the Sixth Schedule areas of the Northeast. What are the amendments proposed? Amendments to Article 280 to provide greater financial resources to the councils that administer the tribal areas of Assam, Meghalaya, Mizoram and Tripura and enable them to undertake development works. The existing autonomous district councils would be renamed as autonomous territorial councils since the jurisdiction of the councils extends to more than one district. The devolution of the financial resources to these councils would be based on the recommendations of the finance commission. The amendments provide for the transfer of additional 30 subjects to Karbi Anglong Autonomous Territorial Council and Dima Hasao Autonomous Territorial Council in Assam. The amendments also provide for elected village municipal councils to ensure democracy at the grassroots level. The amendments empower village councils to prepare plans for economic development and social justice, including those related to agriculture, land improvement, implementation of land reforms, minor irrigation, water management, animal husbandry, rural electrification, small scale industries and social forestry. The amendments are in direction of fulfilling the commitments made under tripartite Memorandum of Settlements signed by Government of India, governments of Assam and Meghalaya, United People’s Democratic Solidarity (UPDS), Dima Halam Daogah (DHD) and Achik National Volunteers’ Council (ANVC). Provisions for disqualification are defined in Representation of the Peoples Act 1951. The Representation of the Peoples act defines the corrupt practices for the disqualification of the elected representative. Under the section 125 (4) of the Representation of the Peoples Act 1951, The publication by a candidate or his agent or by any other person with the consent of a candidate or his election agent, of any statement of fact which is false, and which they either believes to be false or does not believe to be true, in relation to the personal character or conduct of any candidate or in relation to the candidature, or withdrawal, of any candidate, would be reasonably calculated to prejudice the prospects of that candidate’s election and it constitutes corrupt practice. The High Court of Kerala had disqualified an independent MLA Karat Razack from the Koduvally Assembly constituency for his defamatory campaign against the rival candidate during the 2016 Assembly polls. The election of the independent MLA Karat Razack was declared void by the Kerala High Court since it found that he was involved in corrupt practices. The High Court found that Razack and his agents had screened a 20-minute video across Koduvally Assembly constituency during the 2016 election campaign to tarnish the image of the rival candidate. The disqualification has been stayed by the High Court to provide an opportunity to appeal against the verdict. The Supreme Court Collegium is the panel of judges vested with the responsibility of appointments and elevations of Chief Justices and judges of the Supreme Court and high courts of the country. The Collegium for the appointment of Judges of Supreme Court is headed by the Chief Justice of India and comprises of the four other senior-most judges of the Supreme Court. The decisions of the collegium are made through voting and the majority view prevails in case of difference of opinion. Article 124(2) of the Indian Constitution provides that the Judges of the Supreme Court are appointed by the President after consultation with such number of the Judges of the Supreme Court and of the High Courts in the States as the President may deem necessary for the purpose. Article 217 of the Indian Constitution states that the Judge of a High Court shall be appointed by the President consultation with the Chief Justice of India, the Governor of the State, and, in the case of appointment of a Judge other than the Chief Justice, the Chief Justice of the High Court. How Collegium came into existence? The system of appointment and transfer of judges by collegium has evolved through judgments of the Supreme Court, and not by an act of the Parliament or by a provision of the Constitution, which are famously referred as Three-Judge Case. In the First Judges Case of 1980, the Supreme Court had declared that there was no need to provide primacy for the opinion of the Chief Justice of India while recommending a candidate to the President. This judgment was over-ruled in 1993 when the nine-judge bench ruled in favour of granting primacy to the Chief Justice of India in appointing the key members of the top judicial brass. This is referred to as second judge case. As a result in the process of appointment of Judges to the High Courts and Supreme Courts, the role of the President is reduced to the ceremonial participant. The attempt by the central government to constitute the National Judicial Appointments Commission through constitutional amendment act as per the recommendations of the Justice MN Venkatachaliah Commission was also quashed by the Supreme Court as unconstitutional. Under the article 342 (1) of the Constitution of India, the President of India was empowered to specify, the castes, races, tribes or parts of groups within castes or races, which shall be deemed to be Scheduled Tribes in relation to that State or Union territory. Thereafter to amend the ST list, a law must be passed by the Parliament. The state of Jammu and Kashmir has come under President’s rule as Governor’s rule in the state completed its six months. It implies that now all the policy decisions related to Jammu and Kashmir will be taken by the Union Cabinet. The state faced a political crisis when 25-member BJP withdrew its support from Mehbooba Mufti-led coalition government, reducing it to a minority government in the state. Thereafter, the Governor’s rule was imposed in the state. In the case of Jammu and Kashmir, which has a separate Constitution, six months of Governor’s rule is mandatory before President’s rule under Article 92 of its Constitution. All the legislative powers are exercised by the Governor in case of Governor’s rule. Now, after the proclamation for the President’s rule has been made, the legislative powers of the state shall be exercised under the authority of Parliament. The Prime Minister and the Council of Ministers will aid and advise the president regarding the decisions related to the state. Under Article 356 of the Indian Constitution, the Union government can take over the affairs of the state government when state government is unable to function according to the constitutional provisions. This is called as President’s rule in the state. President’s Rule in a state can continue for 6 months. There should already be a National emergency across the country, or in the whole or any part of the state. The Election Commission of India should certify that the conduct of elections is not possible in the concerned state. The Additional Solicitor General of India, also known as the ASG, is the third-ranked law-officer in the Indian government. The post of ASG is not constitutional as the constitution does not have any provisions regarding this. The seat of the Additional Solicitor-General of India may be at New Delhi or Mumbai or Chennai or Allahabad as the Government of India specifies. The post of ASG is governed by Law Officers (Conditions of Service) Rules, 1987. CCPA is one of the six cabinet committees in function (as of 2016). It looks after progress of government business in the Parliament. It is chaired by Union Home Minister. Others five cabinet committees are Cabinet Committee on Political Affairs, Cabinet Committee on Economic (CCEA), Cabinet Committee on Security (CCS), Cabinet Committee on Accommodation (CCA) and Appointments Committee of Cabinet (ACC). These five cabinet committees are chaired by Prime Minister. He is subordinate to the Attorney General of India, the highest law officer and works under him. Note: Office and duties of Attorney General is created by Constitution under Article 76. While, Solicitor General and Additional Solicitor Generals’ office and duties are governed by Law Officers (Conditions of Service) Rules, 1987 and not by Constitution (thus they are statutory posts and not constitutional). Moreover, attorney generals has right to participate in the proceedings of Parliament, but cannot vote. Whereas, Solicitor General and Additional Solicitor Generals’ do not have these rights wrt to participation in parliament. What is a Money Bill? expenditure from or receipt to the Consolidated Fund of India. Bills that only contain provisions that are incidental to these matters would also be regarded as Money Bills. A Money Bill may only be introduced in Lok Sabha. This is done so on the recommendation of the President. It must be passed in Lok Sabha by a simple majority of all members present and voting. Following this, it may be sent to the Rajya Sabha for its recommendations, which Lok Sabha may reject if it chooses to. If such recommendations are not given within 14 days, it will deemed to be passed by Parliament.